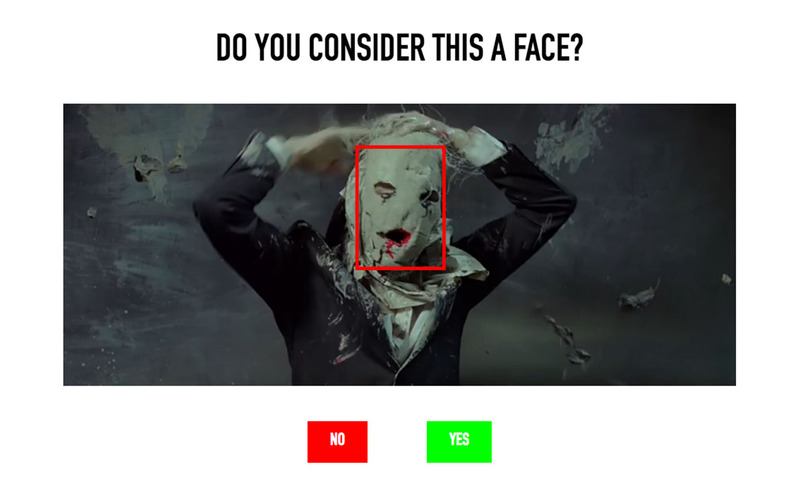 'Face, or no Face?' 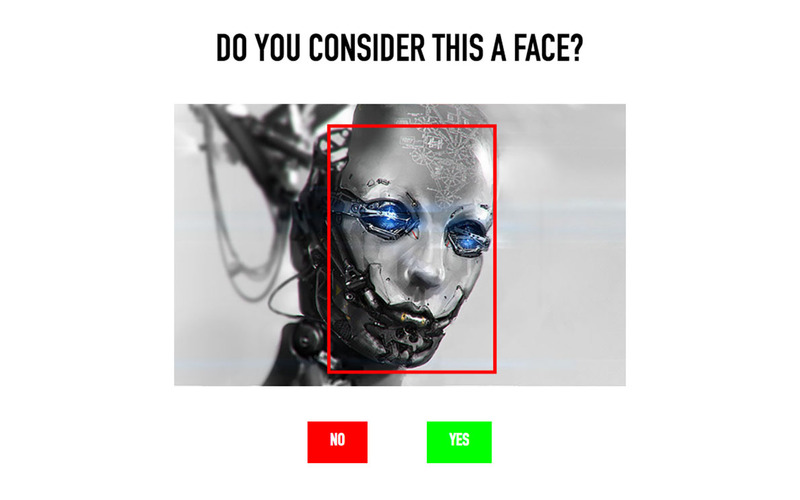 is a very short project that questions and compares our definition of a face with that of an AI. I used Snapchats face detection software. 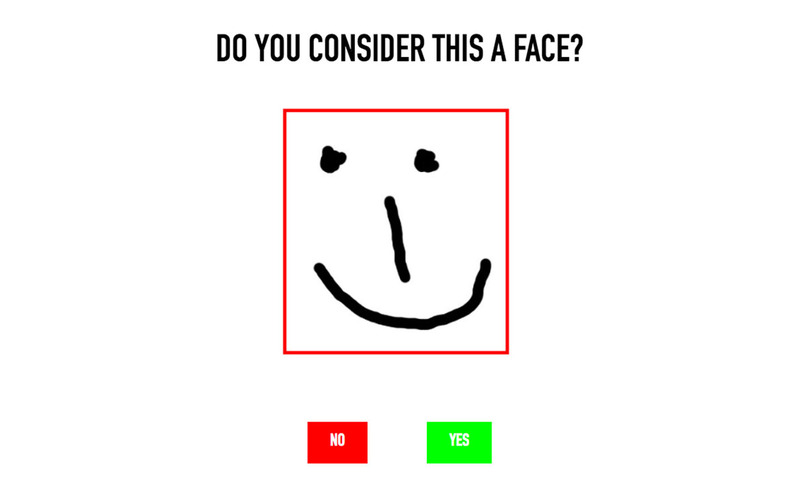 The website asks visitors a simple question: "Do you consider this a face?" We are never really taught what actually defines a face. 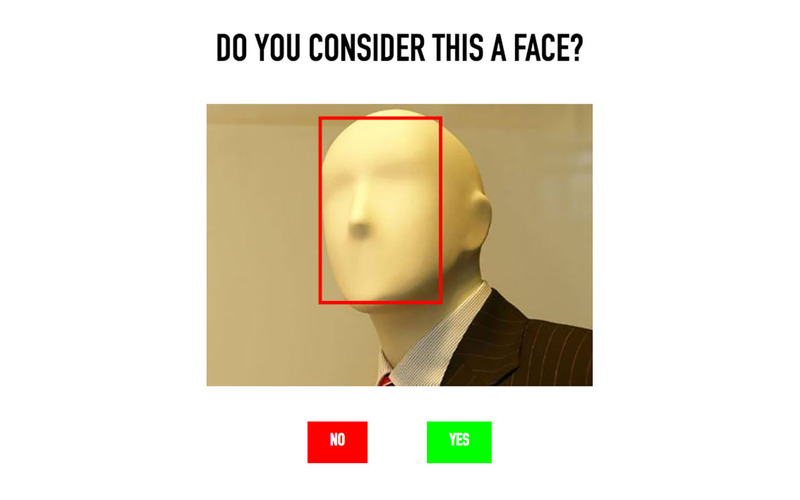 Different people consider different examples a face. 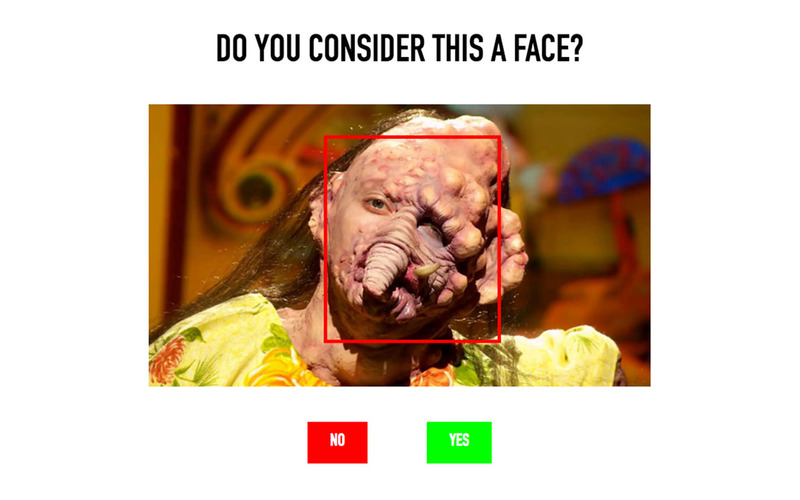 Snapchats face recognition software considers a face in a very different way compared to us. 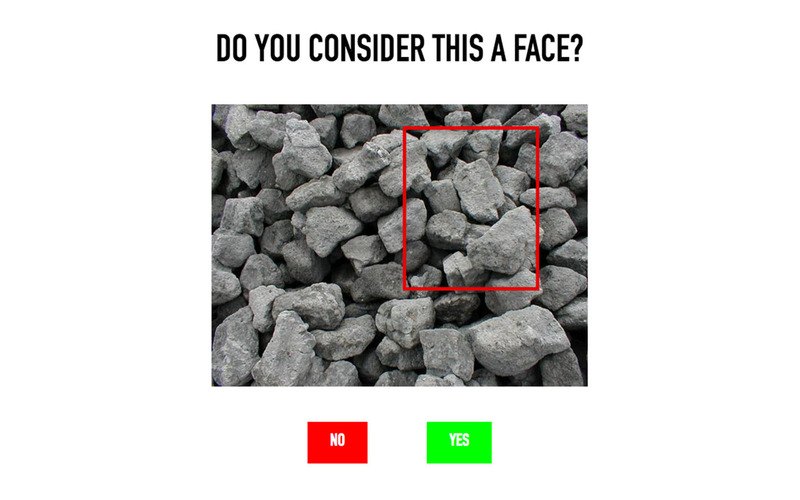 It looks for features like eyes, nose and a mouth in shadows. At this moment the project is still a concept. 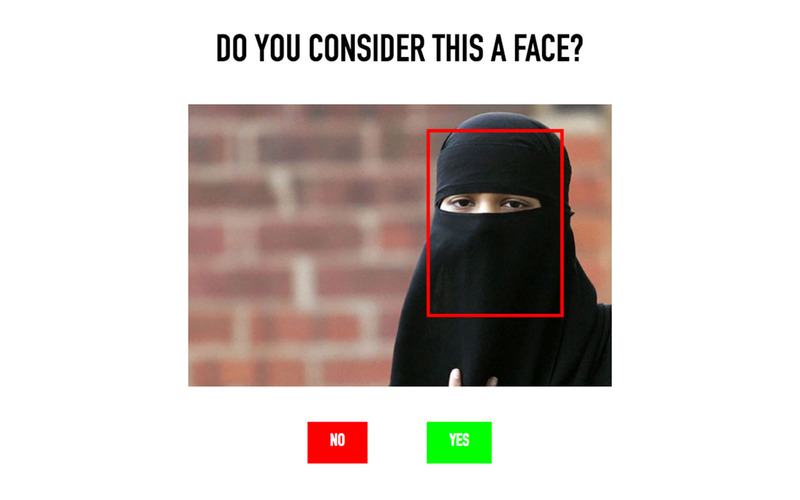 In the future I will develop this in a way where we can compare our answers with the answers from other users and the answer of Snapchat.